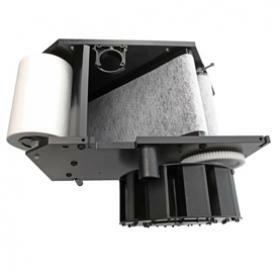 When it comes to unique and over the top equipment designed specifically for aquarium filtration, the new E200 PowerRoll Filter takes the cake. 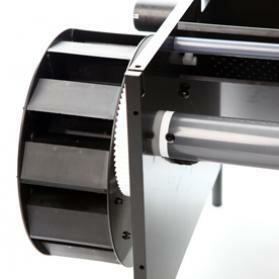 This new product from D-D The Aquarium Solution looks and acts just like a conveyor belt, capturing floating particles in a fine cloth material that is passed over it. But instead of having to replace the filtering cloth on a regular basis, like what has to be done with filter socks, the E200 does it all on its own. As the filter sheet starts to become dirty, water builds up in the filtering chamber and is diverted toward another chamber that house a large paddlewheel. 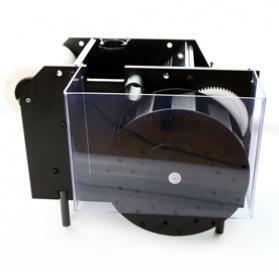 As this wheel rotates under the force of water, it draws in a clean section of the filter roll. This clean filter allows water through, which stops the wheel from rotating until it becomes clogged again. The E200 is designed for both fresh and saltwater use, allowing users to get the crystal clear water from filtering out large particles without the big headaches of constant filter replacement. Additionally, this filter uses zero energy. It relys on water movment already present in the sump to rotate the wheel and deliver clean filtering material, so it won’t add any electrical costs to an already energy intensive aquarium. That said, the price for the E200 PowerRoll is £950 with replacement filters at £18. This translates to over $1500 and $28 US currency respectively at current exchange rates, which is a bit steep considering replaceable filter socks usually run less than $20. In terms of size, the E200 does take up some space. 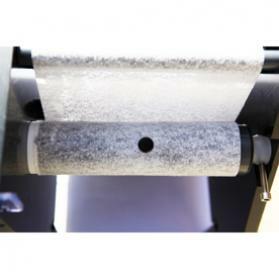 It measures about 21.5″L x 16″W x 12.8″H with the filter rolls sitting at almost 7.5″ wide. This makes for some serious filtering capacity, which is touted as being 1,000 – 10,000 liters per hour, but it also means less room for other devices. Also, it would appear that the E200 has to sit directly on top of a sump, as the water travels through the filter pad and over the water wheel with the help of gravity, trickling down into whatever lies beneath. As with a lot of the D-D products, this one appears to be restricted to the UK at this point. No word yet on if the E200 will find its way into the tanks and ponds of US fish keepers, but we assume we won’t see too many if they do make it stateside. Produces crystal clear water an aquariums & ponds. Continuous cleaning 24/7 without maintenance. Driven by water flow so requires no electrical power. Collects organics which reduces NO3 & PO4. 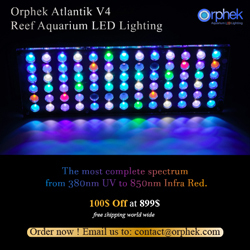 Increases light penetration in reef tanks. No more high maintenance filter socks. Long life between roll changes. They have been using larger models in aquaculture for years. One of the downsides…unfiltered water bypasses the filter when it diverts to the wheel.